One of the things we here at Lime Cellular have discussed in the past is the importance of timing in terms of your SMS marketing campaigns. Everything could be as perfect as can be like, for example, the content of a message and even the call to action. Even with those elements reaching a level of perfection, if your timing is off then that could lead to an unsuccessful ad campaign altogether. Timing is everything when it comes to SMS. 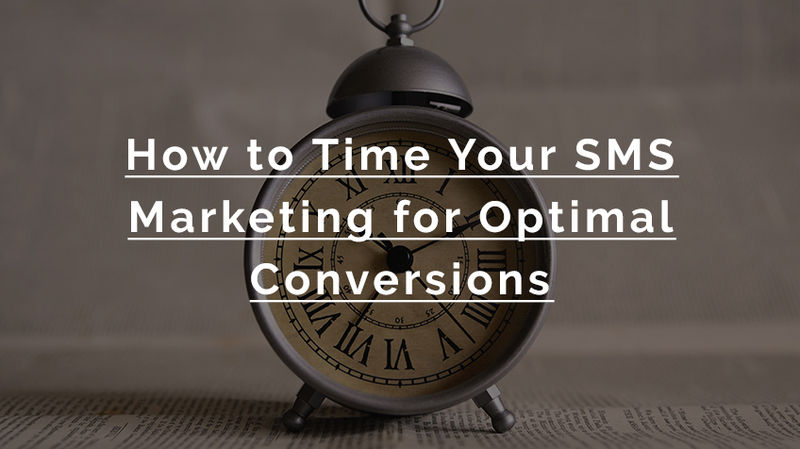 Here are a few tips on how to time your SMS marketing for optimal conversions. In terms of success rates, Mondays show the least amount of responses in the world of SMS marketing. Think about it, everyone goes back to work every Monday where they are most likely bombarded with emails and messages that they need to catch up on from over the weekend. Unless your message is time sensitive to a specific Monday, try any other weekday instead in order to ensure that your message doesn’t go by unnoticed. No one likes an early morning or late night text message; that is a fact. Whether the text being sent wakes the recipient up or disturbs their relaxation routine, it is in very poor taste to send out a text blast during off hours. Try to time your text messages to go out to your customers just before or just after business hours. Furthermore, be mindful of the fact that people may be in different time zones if you are marketing to customers throughout the country. No one wants to get woken up by a text blast advertising a business or product. Even more so, if they do get that text at the wrong time, they are most likely not going to convert into new customers successfully. When it comes to SMS marketing, it is just as important to understand the business that your are advertising as it is to understand your audience. When scheduling a text blast, one should take into consideration what kind of business you are advertising and plan accordingly. For example, if you are advertising a special going on at a dive bar from 10 PM to 2 AM, send out the text blast at a respectful time at night like at 7 PM. Or if you are advertising a lunch special taking place at a restaurant, send out your text blast earlier on in the morning so that customers will be aware at the right time of day. Being mindful of what you are advertising will enable you to reach your audience at the right time according to the message being sent so that it can be successfully received by all. There are a lot of studies out there nowadays in the realm of Email as well as SMS marketing that explain what days and times are best to send out marketing campaigns to customers. Many believe that Tuesday, Wednesday, and Thursday are the best days to send out texts while others say to try on the weekends in order to avoid competition. The bottom line is, you should never stick to one way when it comes to SMS marketing. Attempt to change up your routine when it comes to scheduling your text messages and see what works best. The biggest thing you have to do as an SMS marketer is keep in mind that there will be a learning curve between you and your clients. Through trial and error, you will be able to see when is the best times to send out any kind of text message over time.